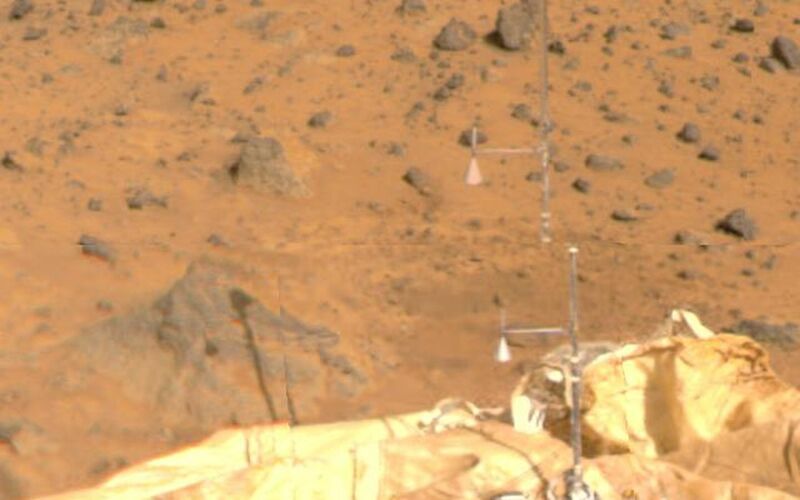 The Atmospheric Structure Instrument/Meteorology Package (ASI/MET) is the mast and windsocks at the center of this color image, taken by the Imager for Mars Pathfinder (IMP) on Sol 4. The instrument appears in two different sections due to image parallax. 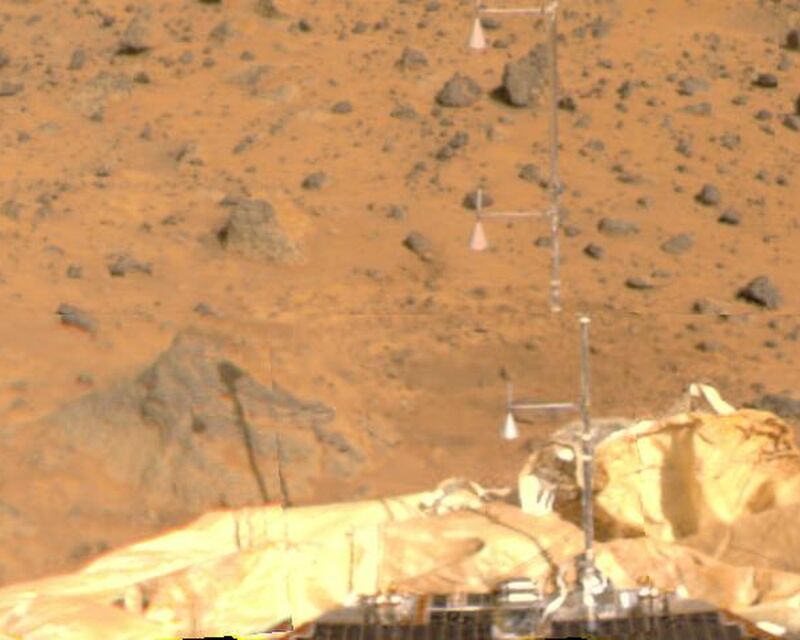 The ASI/MET is an engineering subsytem that acquired atmospheric data during Pathfinder's descent, and will continue to get more data through the entire landed mission. The windsocks are seen pointing almost completely up, representing little wind movement at the three locations of the windsocks. A rock at left holds a shadow of the ASI/MET, indicating the sun's position is at the rear right. 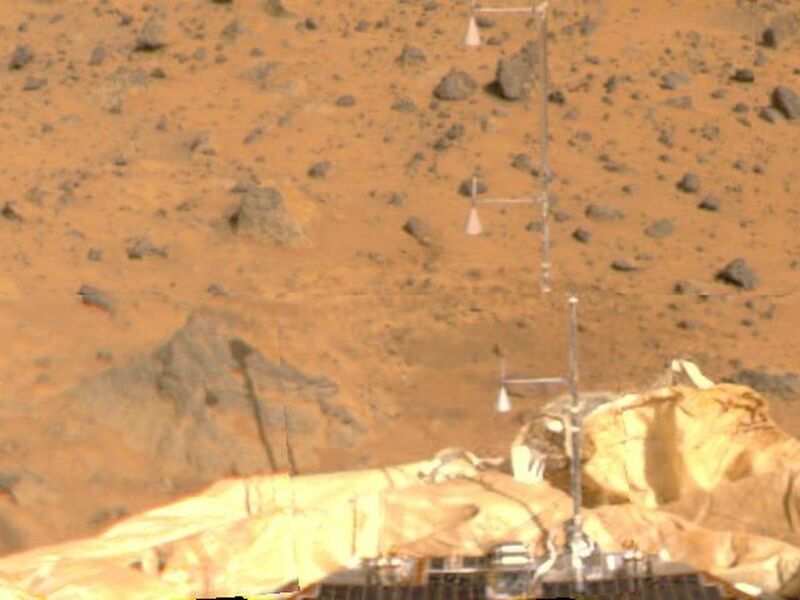 Portions of a lander petal and deflated airbag are visible, in addition to several rocks of varying sizes in the distance.